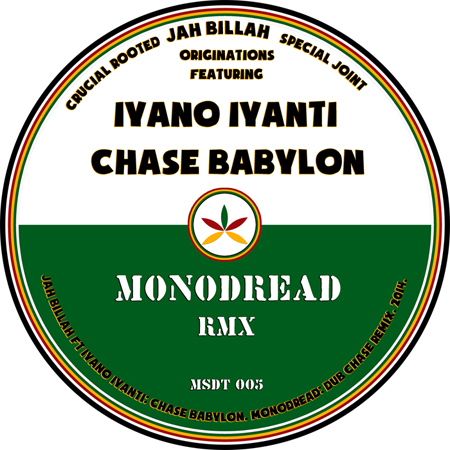 JAH BILLAH FT IYANO IYANTI: CHASE BABYLON MSDT 003-005! 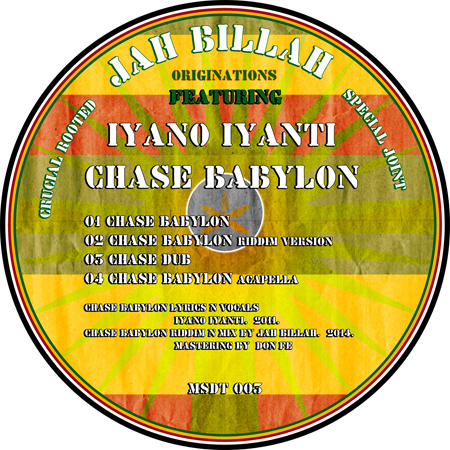 Jah Billah links with Jamaican talent Iyano Iyanti on Chase Babylon, another EXCLUSIVE Juno Download release. Since his debut in 2008, Iyano has recorded and produced to date over 50 songs including one album, called “Ghettowise”. His first producer and mentor was Dennis “Jah-D” Fearon, original ska instrumentalist and key figure in the formative years of reggae music in Jamaica. Jah-D is credited for shaping and moulding Iyano’s music into what it is today,an elemental fusion of feeling music which embraces the listener as though inseasons, fierce and fiery at times and cool, nurturing, soothing at others, yet always honest and relevant. Iyano’s music can best be described as uplifting message music with a clean, refreshing sound. His social commentary on social issues, love,unity, human struggle, and injustice are universal themes that will resonate with people seeking more than a bass rhythm. It’s music that he is confident his listeners will feel good vibrations from; it is music that he hopes will bring a positive change in society. 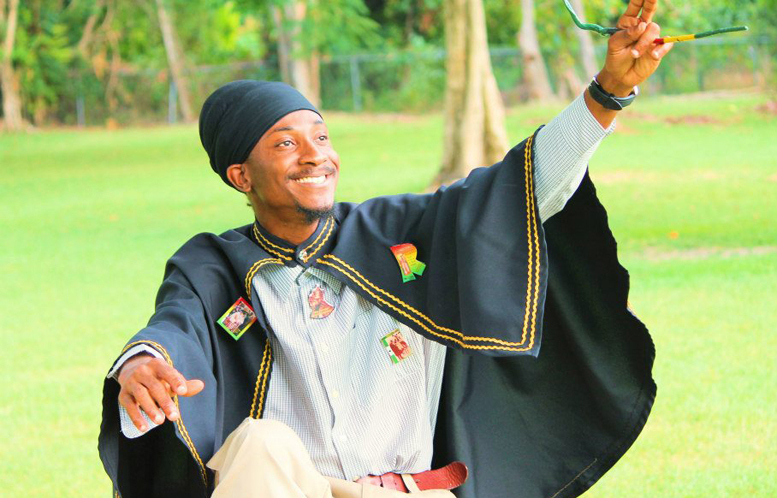 These inspirations come from his strong Rastafarian faith. Ready again fe more uplifting productions wth Iyano Iyanti & Jah Billah beacuse we all gotta Make It Right and Good Music haffi play seen? Iyano Iyanti photo by Bobo City Promotions. 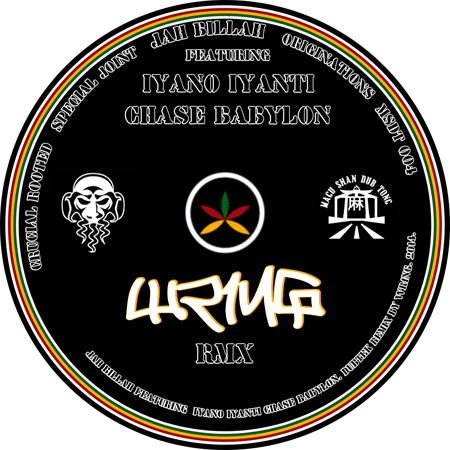 Inspired by foundational ridim Chase Vampire and style of 80’ties digital dancehall anthems, Chase Babylon riddim version is unique blend of original dancehall sounds and 8 bit aesthetics mixed in style of reggae’s golden era: 4 tracks of vocals, drums, bass and skanks. This version of digital roots gives nuff space for each element to shine clearly providing room for message of Ras Tafari to come trough. Jah Billah’s dub version titled Chase Dub is equally evocative mix: in this day and age of informational overflow, this dub mix seems almost cold in delivery as soloed tracks echo on and reverberate and each element of composition is observed and justified in scientific dub exhibition. Hardtek vibes coming from low bass champion Wr1ng! Inna Year 3014 Style. This is an underground blend of dubstep, jungle and psy dub that can’t be done unless it is Praha’s finest WR1NG pon di case. He made remixes for Andy Horace, DJ Vadim, Izzy Dunn, CJ Reign, Shaun Escoffery, Amy,Rochelle, Mirikal, Katy Perry, Blondie, Side9000, Ans, Phillip TBC and others. Nowadays Wr1ng is found mostly on DPR recordings exploring dubsteping freedom. If your job is to murder dancefloors this is what you pack with. Let any discotheque shake or open air festivals rumble with this 174 BPM rave anthem. Monodread’s Dub Chase Mix. Heavyweight Shaka Warrior Fashion. Breda MONODREAD ( Bass-Ul-Ulema Sound ) representing fe Sarajevo’s dubbiest crew is a basswise technician & veteran dub warrior. Bass–ul–Ulema is a collective based in Sarajevo, Bosnia & Herzegovina, consisting of three dub fanatics – Monodread (producer/drummer), Vital Echo (producer) & Spectrum Qawali (musician/instrumentalist/vocalist), each of them anchored in different musical styles and projects before being assimilated to the realm of the mighty DUB. In the beggining there was Bass and the Bass was One…A so it a Dread! Magu Shan Dub Tong endorses Billie The Kind font by JOEBOB Graphics and Soup Of Justice font by Omen Type.